Hyderabad witnessed a horrific murder in full public view on a busy street on Wednesday night. The video of the brutal murder has gone viral. 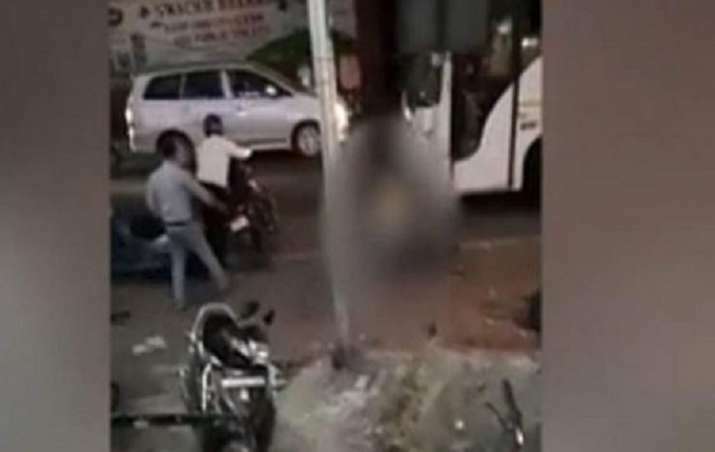 A 35-year-old man was stabbed multiple times with a butcher knife by an auto-driver even as a number of onlookers captured the incident on their mobile phones. However, no one came forward to stop that attacker.